Search the newest Modern houses for sale & real estate listings in Dallas, TX below. To change how the search is displayed, click the gray button next to "Sort By." Using the gray button below, you can sort homes by prices or days on market. For information about Modern properties for sale in Dallas, Texas, or to request a showing, click "Schedule a Showing" when viewing any modern listing. You can also create and save a custom home search by clicking the "Save this Search" button and register for a free account. A custom search will allow you to receive email alerts when new modern real estate listings hit the market. KnoxRE.com is updated every 15 minutes by a direct feed from the local Dallas-Fort Worth MLS which will give a visitor desired information for modern real estate like property images; days on the market; subdivision information; feeder school information; HOA dues; frequency of the HOA dues; estimated county taxes and more. If you see a property displayed, it means the home is still available for purchase. Our site only displays currently active modern homes. If a listing goes under contract, it is removed from the listing display for ease of use and navigation for visitors. To view more Dallas homes for sale near modern listings, see the alphabetical list of subdivisions in the area below. Click on any of the listed subdivisions below to visit that neighborhood's page. If you would like to view all Dallas real estate listings, click on the link at the top of the page. 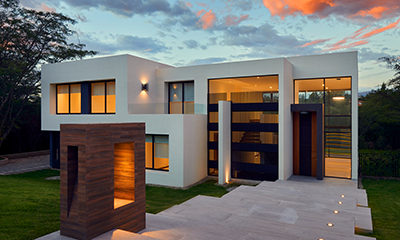 Dallas TX contemporary homes for sale can be found in a wide selection of areas within DFW. Modern real estate generally prices higher than traditional homes since most modern homes tend to have upgrades and extensive, costly upgrades like custom wood finishes and trims, an abundance of custom glass work and expensive stone and natural materials used in their construction. Northwest Dallas is the area with the most contemporary homes followed by the East Dallas and downtown condo areas. These style homes in Dallas TX price in a wide range from approximately the low $200,000's for condos to over $5,000,000 for the luxury end. The higher priced modern condo properties are located in buildings like the Mansion Residences, the Azure, La Tour, Vendome, Parkside, Museum Tower, W Residences, Douglas Condos 8181, Limited Edition 2505, Residences at the Highland, Plaza at Turtle Creek and The House. The single-detached contemporary homes in Dallas are mostly located in Kessler Park, East Dallas, White Rock Lake, Bluffview, Midway Hollow, North Dallas, Northwest Dallas, Bent Tree, Preston Hollow, Northeast Dallas, Casa Linda, Caruth Hills, Forest Hills, North Oak Cliff, and Uptown. Most of the luxury Contemporary real estate in Dallas is going to price above $2,000,000 with these homes offering open floor plans, walls of glass, sleek and clean lines, natural wooden and stone flooring, wine storage areas, lots of glass tile work, frameless shower doors, clear double glassed windows, "green features," white and neutral colored paint choices, upgraded lighting fixtures fitting the overall modern concept and theme. Mid-Century modern homes were the beginning of this architectural movement in the United States. Most mid-century homes began popping up in Dallas around the 1950's and into the 1970's. 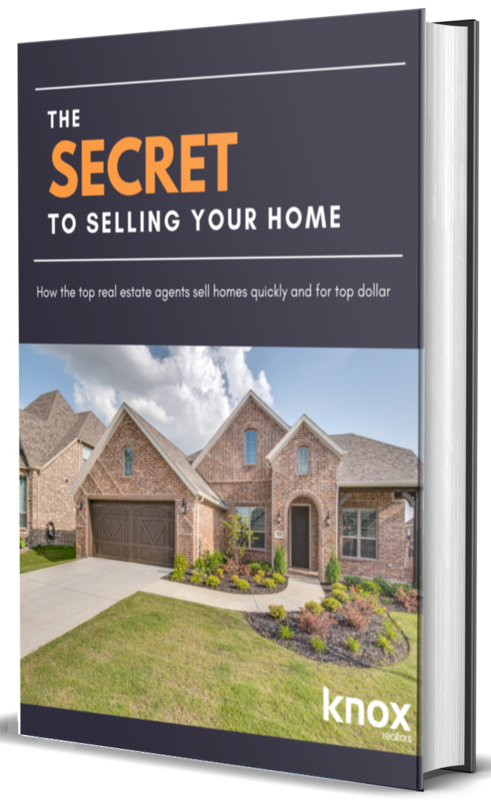 Dallas and the surrounding areas feature a remarkable mix of neighborhoods and architectural styles--so much that for a prospective buyer the choices can be overwhelming. There are distinct characteristics about certain styles of homes that define them, and knowing the details you like goes a long way towards finding the right house for your family. The traditional architectural design is pretty easy--Greek Revival (think of the plantations along the Mississippi), Colonial (brick two stories symmetrical box), and Ranch (sprawling one level) that has morphed into Texas Modern (since it's Texas it's just bigger). But there's one amorphous sort of architecture that's popular today and mixes any number of design elements for a cohesive whole that's perfect today's family. Contemporary homes in Dallas, industrial and commercial architecture is cutting-edge--geometric, glass, clean lines, and lots of light--but contemporary and modern real estate in Dallas is defined as the architecture of today--whatever is being designed and built is contemporary. These houses are not defined so much by exterior design and style influences so much as how the house is built and the interiors. Modern architecture is an entirely different style, encompassing post-Victorian architecture through the mid-century era. They're traditional with a twist--a Craftsman with large windows and French doors to an outdoor living room, or the Mediterranean with a seamed metal roof instead of tiles. A loggia might run across the length of a contemporary ranch, with outside access from every room. These houses are built with an eye towards sustainability and green design; solar or geothermal heating is an example, as is the use of non-toxic and recycled materials. Hardwood floors are common throughout--trees are renewable, non-toxic, and wood floors offer lots of options for interior designers. Builders of new homes are installing low VOC paints and natural-fiber carpeting, using natural and native landscaping, and creating open spaces that flow to outdoor living rooms. Defining elements of Dallas contemporary homes are; an open floor plan and a two-story foyer are common. A "chef's kitchen," which feature high-end commercial appliances--dual ovens, multi-drawer dishwashers, and multi-burner stoves, granite countertops, and a large island are considered a requirement in a new home. Wine rooms have replaced the wet bar inside, and the wet bar has moved outside. Builders recognize that having room in the garage for actual cars mean three-car garages with a separate door for the third bay, and a mudroom--that may or may not double as a laundry room--between the kitchen and garage. An elegant downstairs master suite is another hallmark of contemporary homes. These bedrooms are large, often open to the outside and feature bathrooms that rival a nice hotel--separate water closet, large shower with multiple shower heads, and a freestanding jacuzzi tub. Closets have become dressing rooms with tons of storage. This design concept works well for families with children who are older or even out of the house since you can live completely downstairs. This style of homes have open floor plans and are great for entertaining, as most parties happen in the kitchen regardless of how much time you spend making the rest of the house inviting. Guests can flow from the kitchen into the great room or family room seamlessly, and nobody feels like they've been sent down to the kid's table, away from all the fun. These houses may also feature an outdoor room, which usually has a kitchen to rival the house with a gas grill, pizza oven, wet bar, and stone fireplace wired for a TV. Higher-end homes have heaters built into the ceilings for year-round use. These homes are built for entertaining, and families. You can find them in almost every neighborhood in and around Dallas, as they fit in everywhere and are not uncommon rebuilds after a teardown. However, do remember that most suburbs will not have this style of the home unless expressly set forth by HOA guidelines and rules. Most suburbs will consist of much more traditional homes so a buyer would need to stick mostly to the City of Dallas to find that perfect contemporary floorplan. A contemporary house in Dallas is perfect for families who have big, multi-generational parties. Dallas offers something for everyone when it comes to lifestyle and architecture, so please contact us if you'd like to find out where to find the dream house for your family.